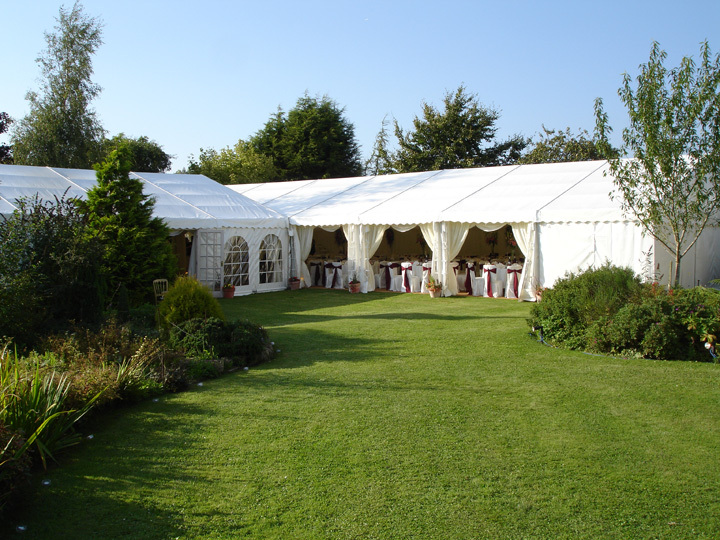 At Malmesbury Marquees we enjoy being able to help plan and evolve your wedding and party plans. 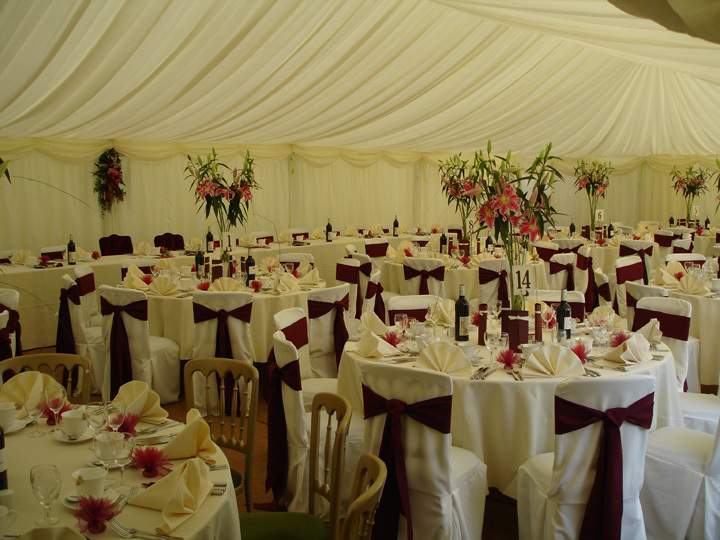 Based in Malmesbury, Wiltshire, we pride ourselves on delivering a quality service for your special event. 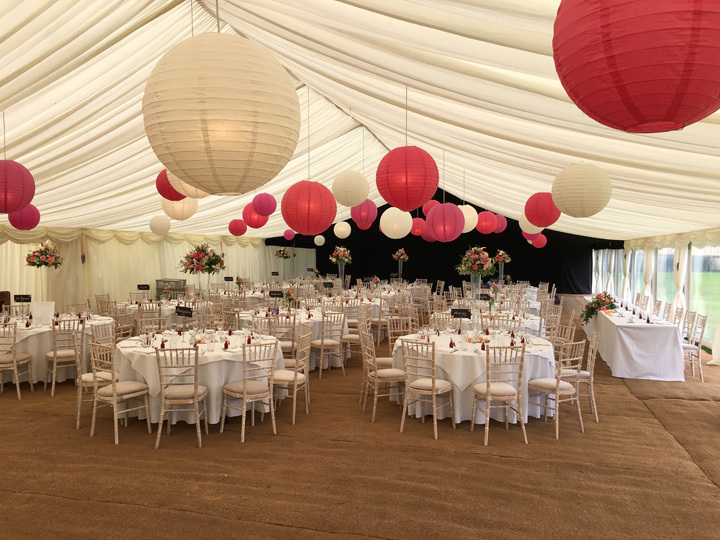 We do this by not over-loading ourselves, allowing plenty of time for the marquees to be constructed and finished to your time scale. 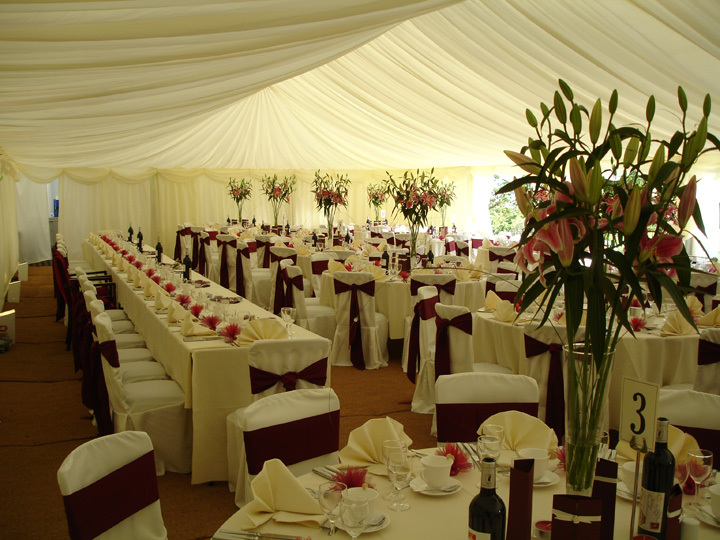 If your wedding is on a Saturday we will have the marquee completed by Thursday evening allowing you Friday to finalise your big day. The same time scale applies whatever day your wedding is on. If you are looking for something special or different from the norm we have plenty of ideas and contacts and can virtually make anything happen. 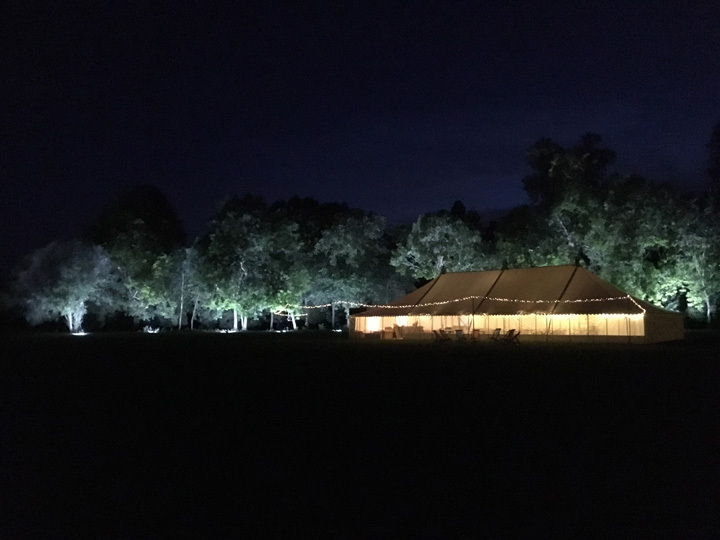 Our stylish Indian camping tents make luxurious extra accommodation for your guests in your own garden or the grounds of your wedding venue. 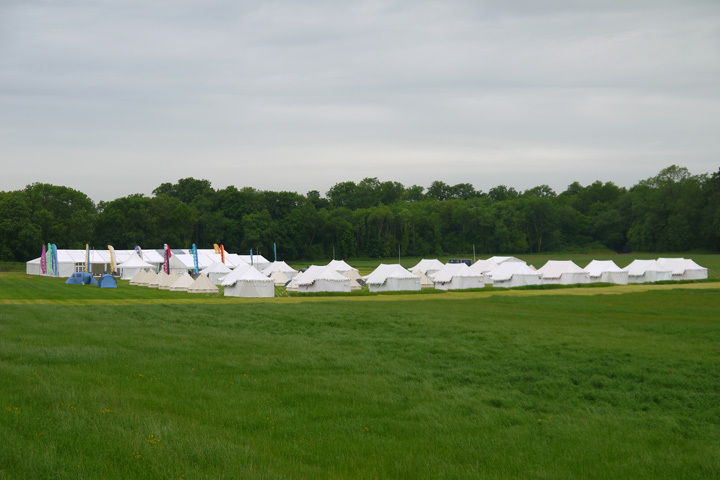 A complete mini festival for a party or a festival wedding, we have the equipment and knowhow to bring it all together. Venues for wedding, festival weddings, parties and corporate events are also available. Call us on 01666 575 470 for more details. 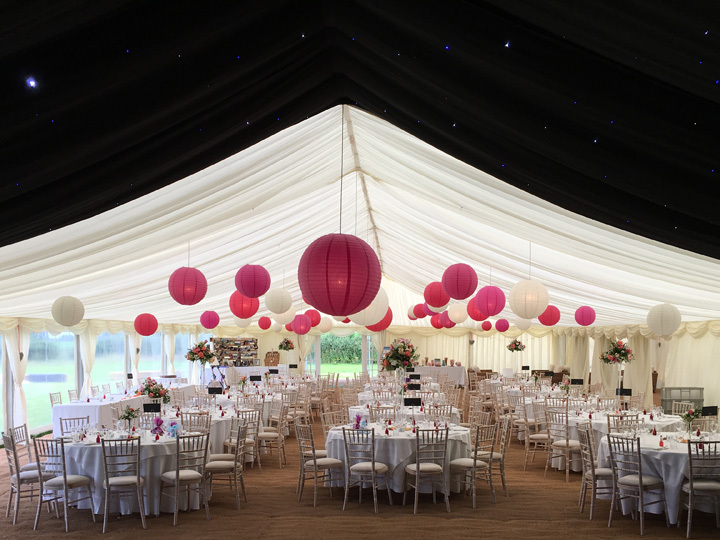 Call us at Malmesbury Marquees on 01666 575 470 to discuss hiring a marquee for your wedding, festival, party or corporate event. 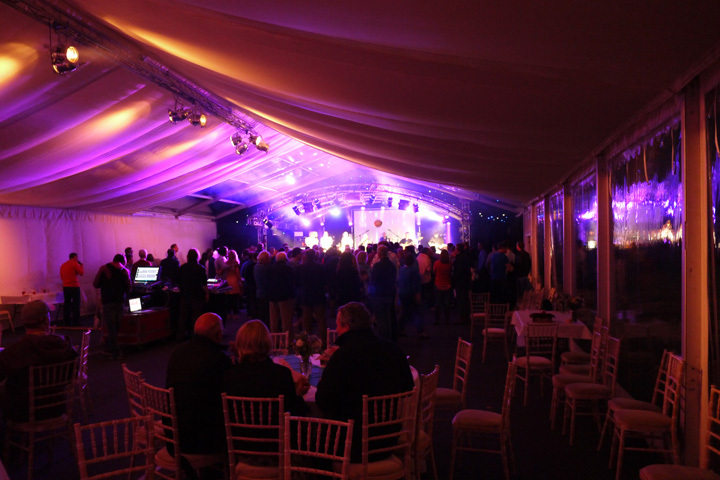 A large structure with expansive dining marquee leading into an adjoining dancefloor and bar area. 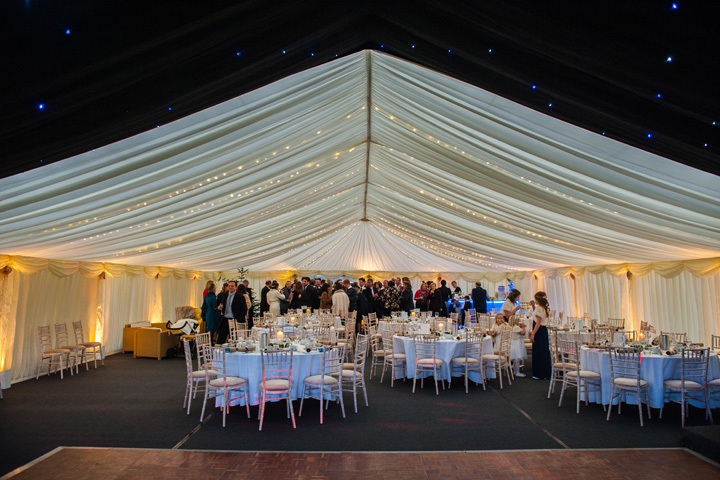 Large marquee with panoramic walls and gables looking out onto Oxfordshire hills. 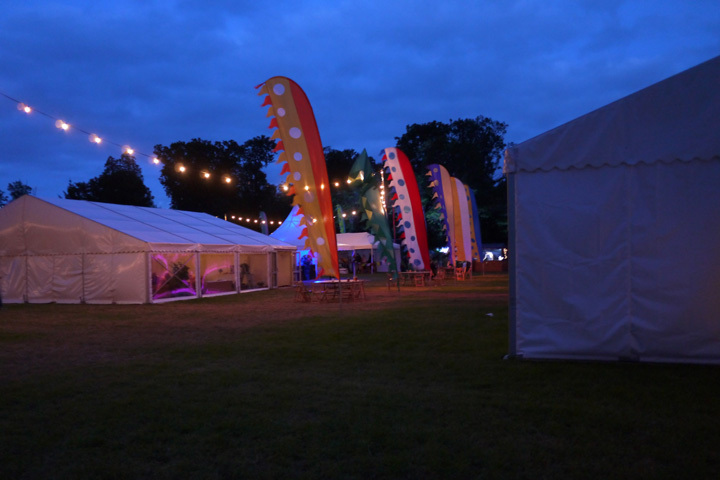 Uplighter lighting around perimeter of marquee as well as eave height uplighters. 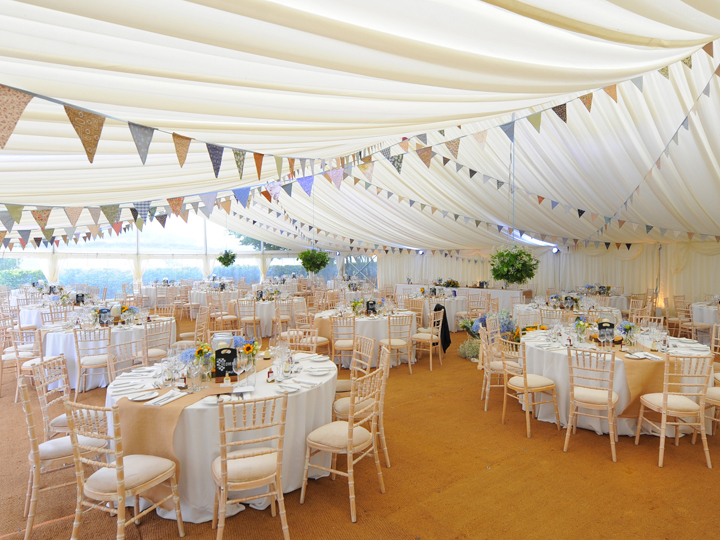 Lengths of bunting suspended over ivory pleated linings. Spacious dining area using round tables in addition to a top table. 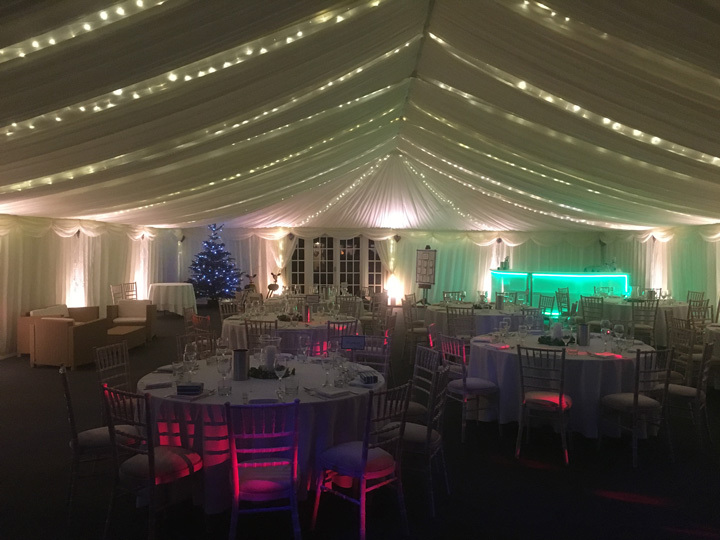 A stunning December wedding featuring our LED bar, internal toilets and ample heating! Black 'starlight' lining over a wooden parquet dance floor. Guests seated at round tables with additional top table. Strings of fairy lights strung behind ivory roof linings. LED bar with customisable colour control. 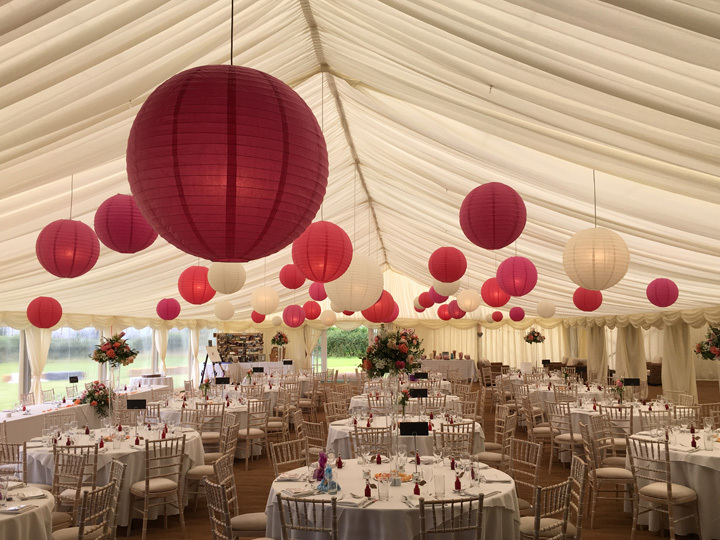 A colourful and bright marquee using lots of decorative Chinese lanterns. Ivory pleated linings throughout dining area. Coir matting used as flooring. Large collection of coloured Chinese lanterns. 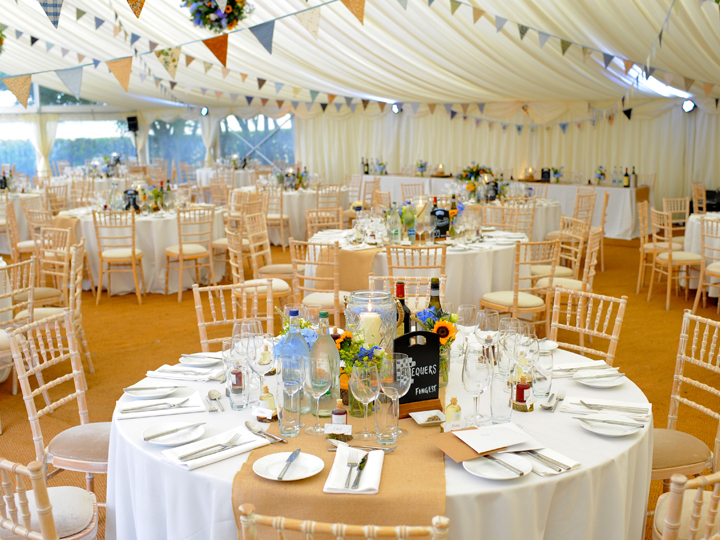 A classic country wedding set in the beautiful grounds of Charlton Park Estate. An arc of suspended fairy lights around exterior chillout area. 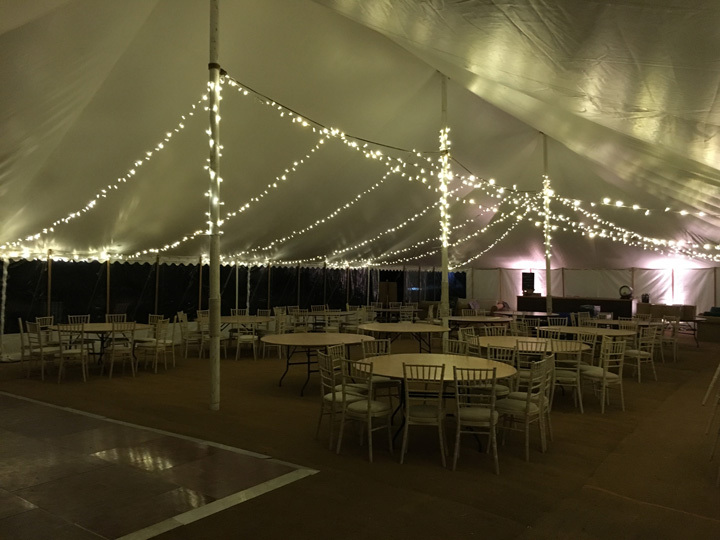 Lengths of fairy lights hanging from central marquee poles. 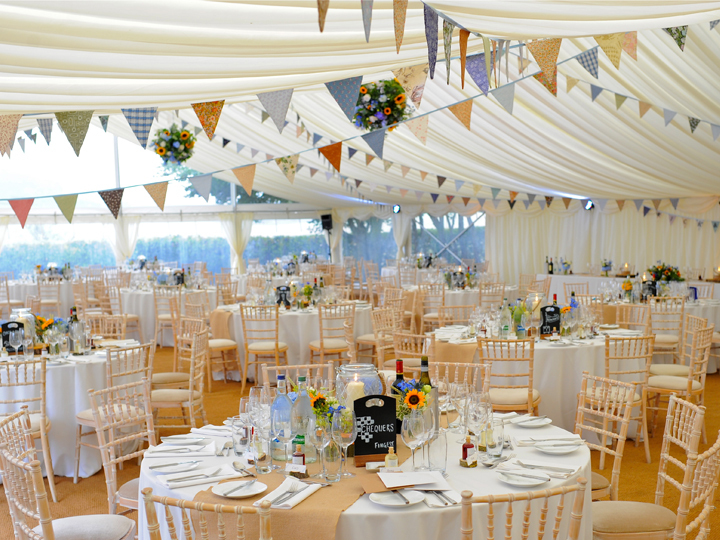 A 12 metre marquee, carpeted and lined with ivory linings, round trestle tables and lime wash chairs were used with white linen. It had a chill out area at one end with rattan furniture and oak coffee tables. 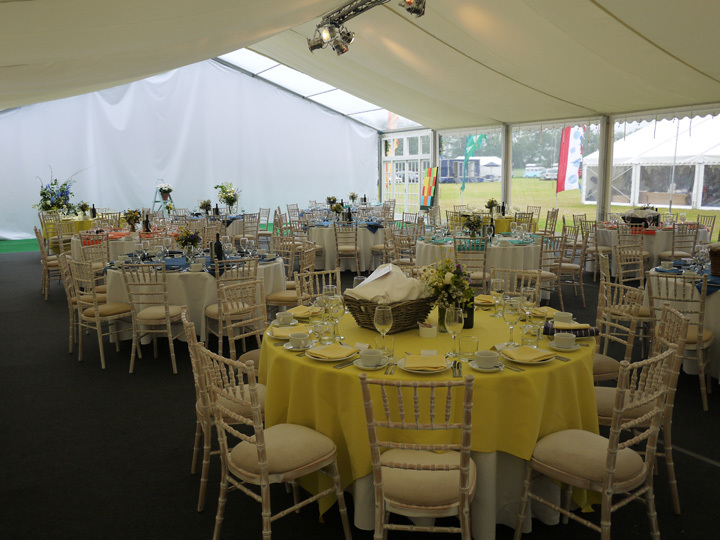 Panoramic windows allow more natural light into the marquee. 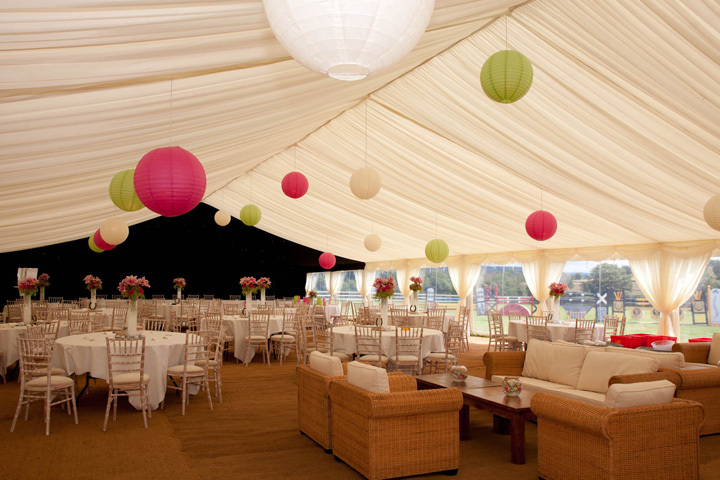 Chinese lanterns, ivory linings, lime wash chairs, round trestle tables, panoramic windows, rattan sofas, furniture. 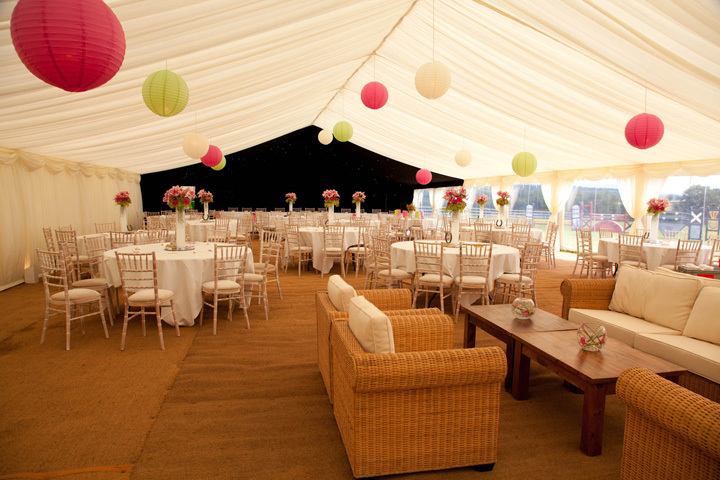 Chinese lanterns, ivory linings, carpet, lime wash chairs, round trestle tables. Chinese lanterns, ivory linings, lime wash chairs, round trestle tables, panoramic windows, rattan sofas, furniture, coffee tables. 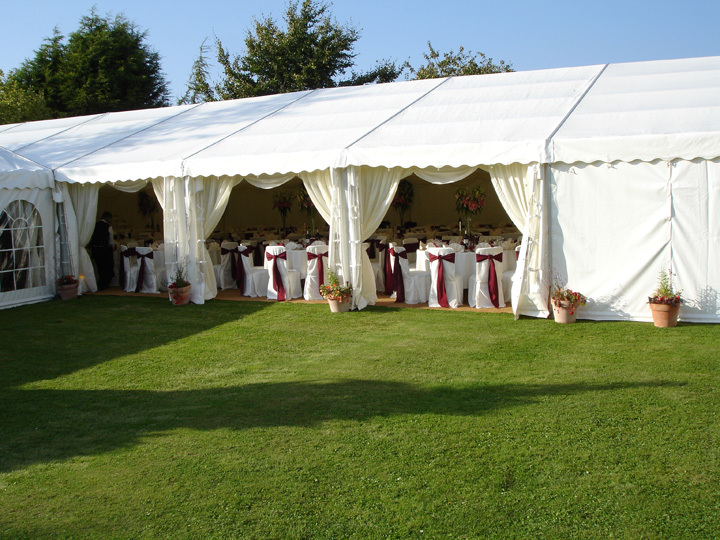 A 9 metre entrance marquee attached to a 12 metre dining marquee. Ivory and white linings were used and the hard wood floor with blue carpet. Round trestle tables and lime wash chairs with green seat pads were used. 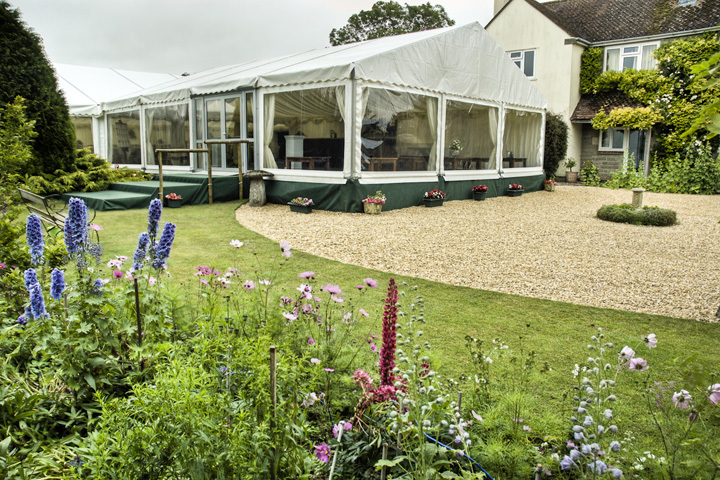 Panoramic windows around both marquees allow more natural light and views of the garden. The entrance area had coffee tables and a bar. Ivory marquee linings, round trestle tables, lime wash chairs, green seat pads, Georgian windows, panoramic windows, wood floor, carpet, Chinese lanterns. Panoramic windows, entrance, entrance door. Entrance, Panoramic windows, ivory linings, coffee tables, wood floor, carpet. 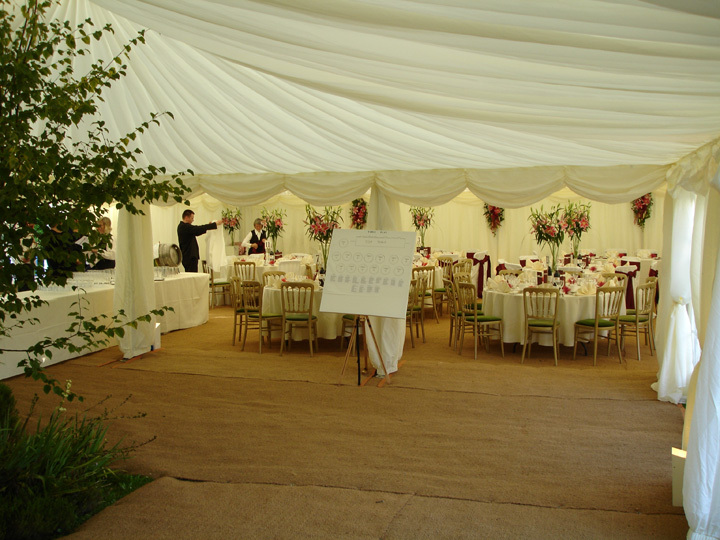 Entrance marquee attached to a dining marquee. Georgian windows used, some were opened to create open sides. Ivory linings and round trestle tables were used. Ivory Linings, trestle tables, carpet, chairs. Ivory linings, round trestle tables, chairs. Entrance area, round trestle tables, trestle tables, carpet, ivory linings. 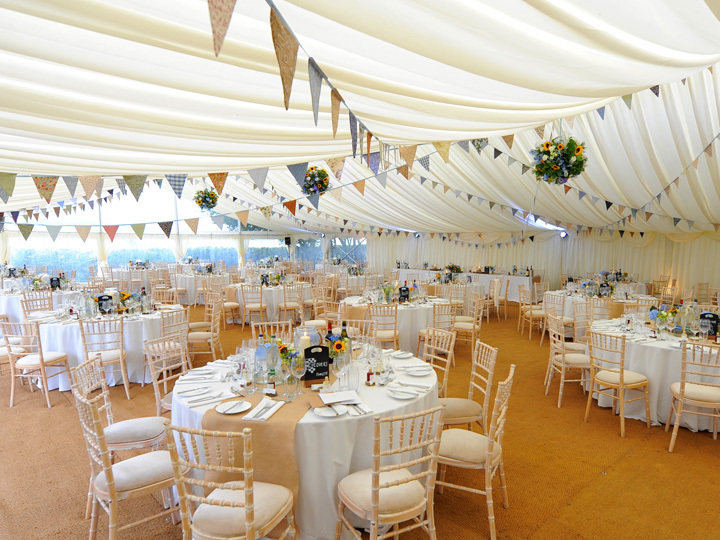 Georgian windows, open sides, wedding marquee, two marquees joined together. 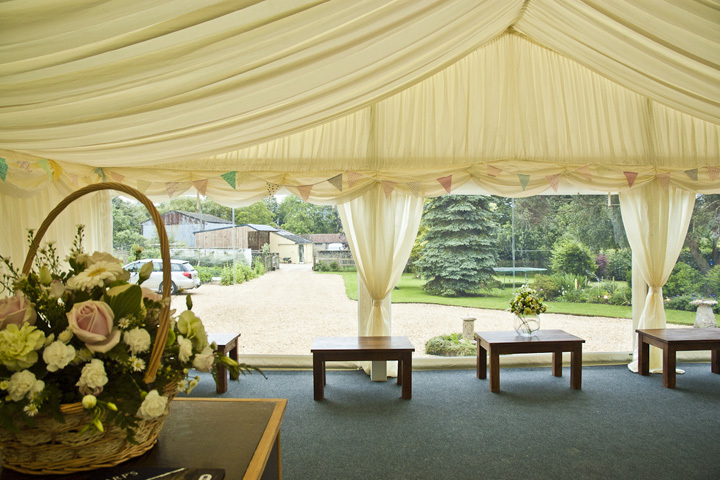 Georgian windows, open sides, wedding marquee. 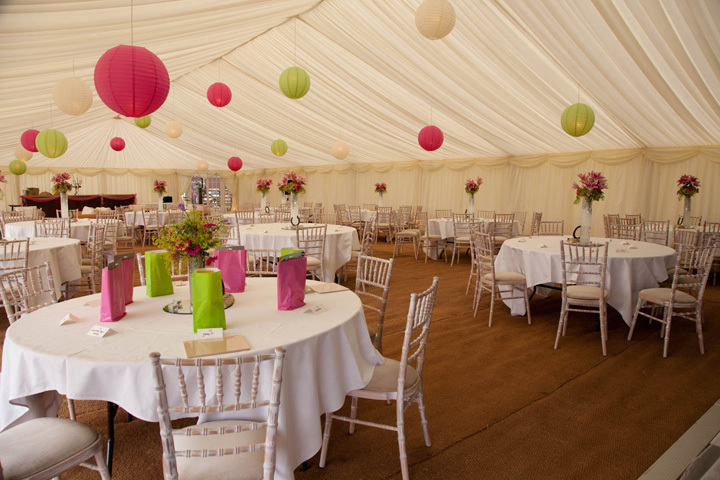 Leg extensions were used to create 3 metre high walls, creating more height space in the marquee. 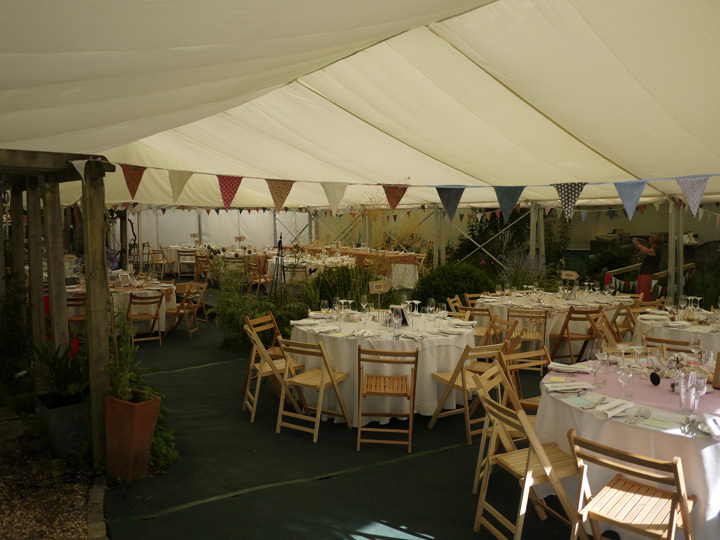 Flat ivory linings and a clear roof was used, allowing much more natural light into the marquee. Panoramic windows were used down one side of the marquee. Round trestle tables and lime wash chairs with white seat pads were used. 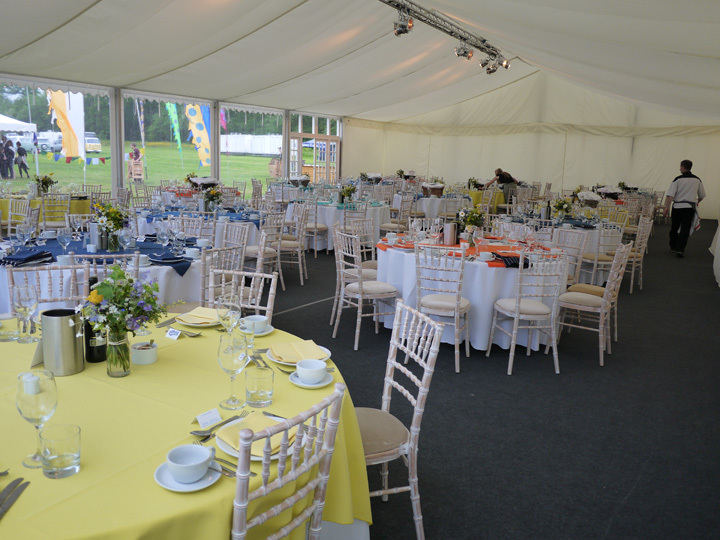 Wedding marquee, 3 metre high walls, panoramic windows, lime wash chairs, round trestle tables, hard wood floor, blue carpet. 3 metre high walls, panoramic windows, lime wash chairs, round trestle tables, hard wood floor, blue carpet, panoramic roof, LED lighting. 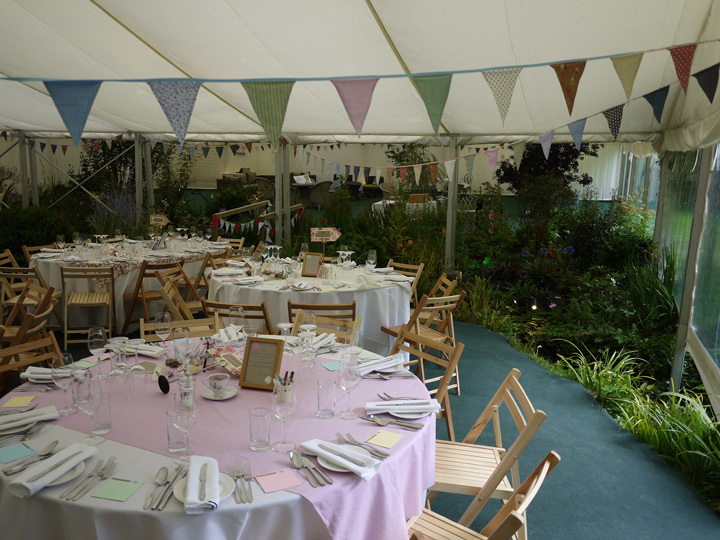 This wedding marquee was built around a garden in Bath, Somerset. 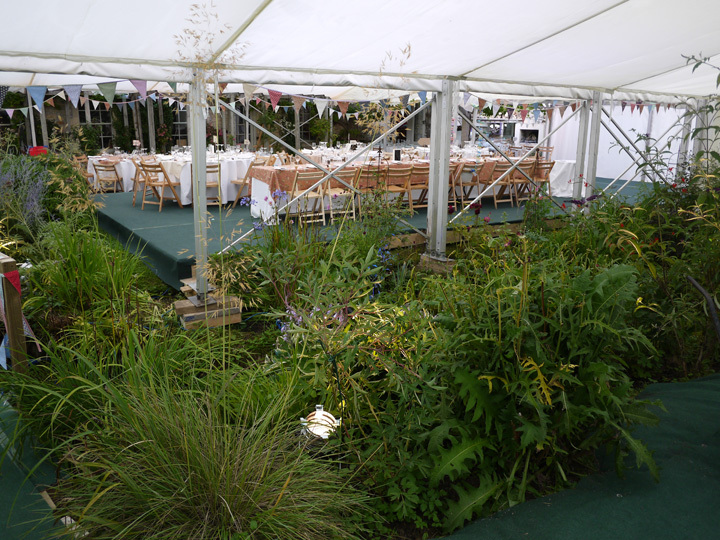 Wooden decking was used to cover over a swimming pool and a bridge was created over a stream that ran through the marquee. A covered entrance walkway was created with outdoor LED lighting. 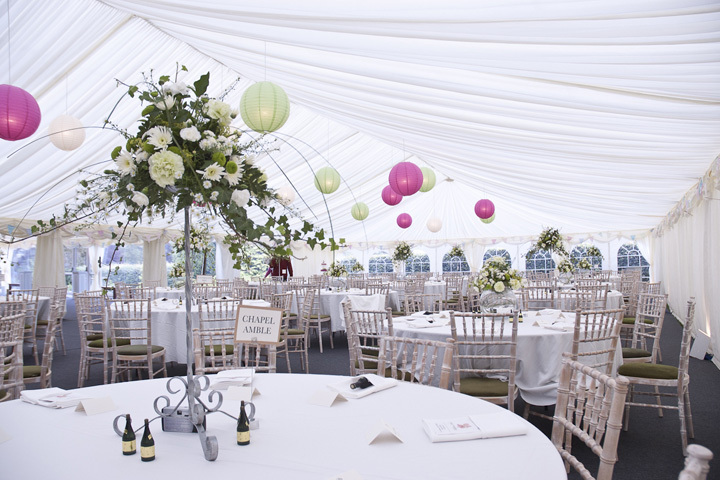 Wedding marquee built around a garden. 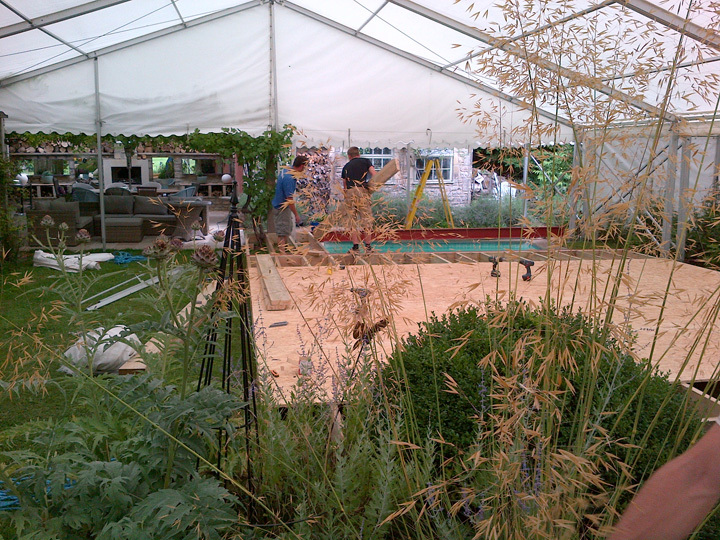 Covering a swimming pool in the marquee. Round trestle tables, panoramic windows, green carpet. 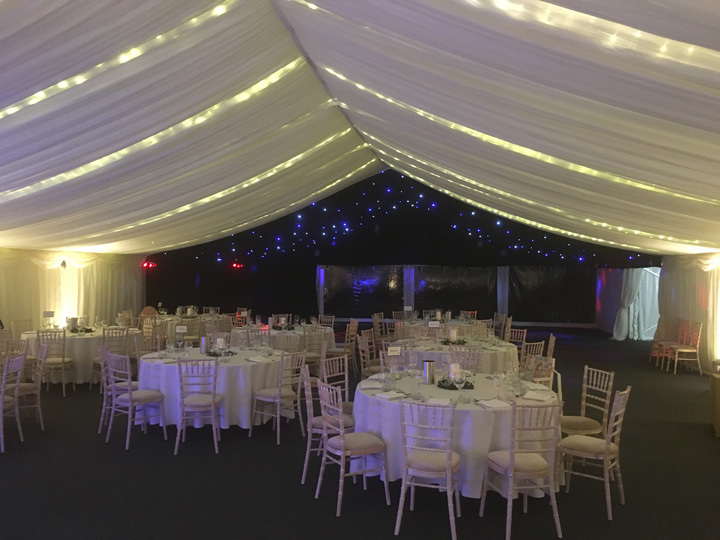 For a marquee hire quotation or more information, please call Malmesbury Marquees on 01666 575 470 or email info@malmesburymarquees.co.uk. 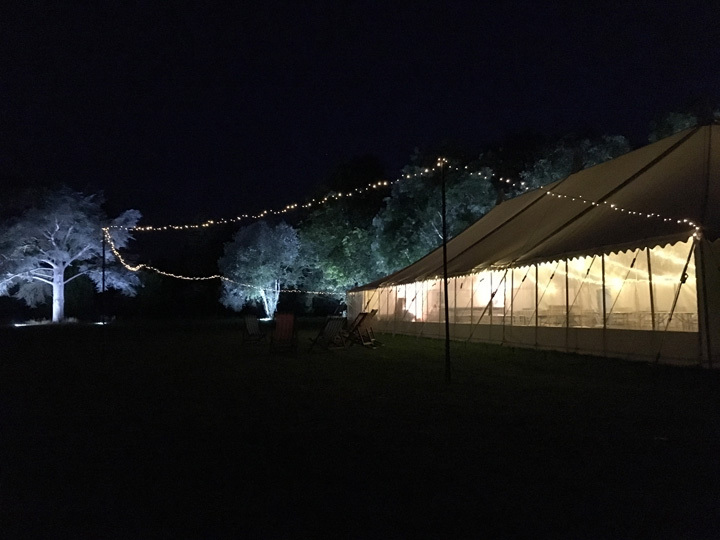 "The marquee was stunning, spacious and comfortable - every guest without exception was completely "wowed" by it and if I had had business cards for Malmesbury Marquees, every single one would have been taken."